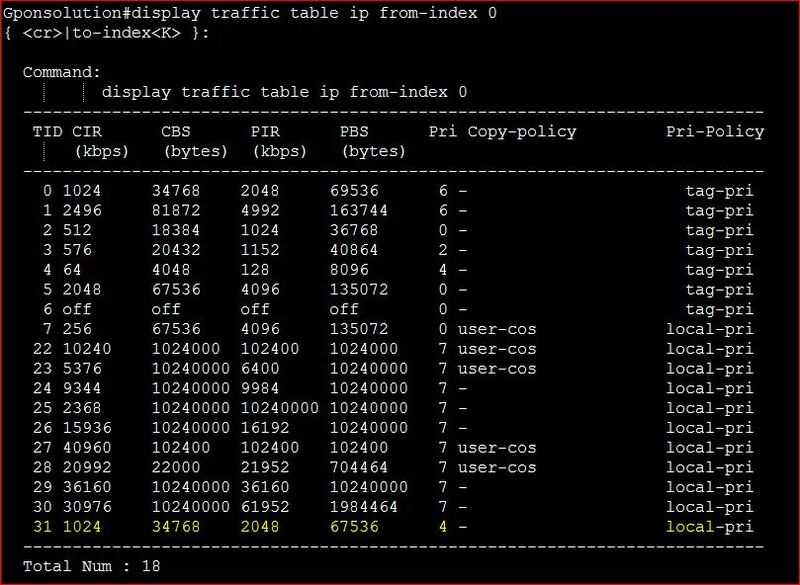 Here i will show you how to create traffic table or Bandwidth control list in huawei OLT. At first login your OLT & go to config mode then apply bellow command, All meaning of that configuration are given also under the configuration. If you want exact 1Mbps then you need to put CIR & PIR both value: 1024 Kbps. By default PIR Value: 2 x CIR if you not put PIR value.